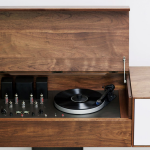 DesignApplause | symbol modern record console. The design and execution are only half the story. Lift the lid and expose the hand built tube amplifier and turntable set into patinated steel plates and begin to discover a one of a kind music console that integrates traditional “old school” electronics with modern wireless capabilities. 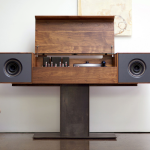 The electronics are custom designed and built for Symbol Audio by experienced audio engineers and include a hand-wired tube amplifier that delivers a warm pure signal to the two 6.5” full range speakers. 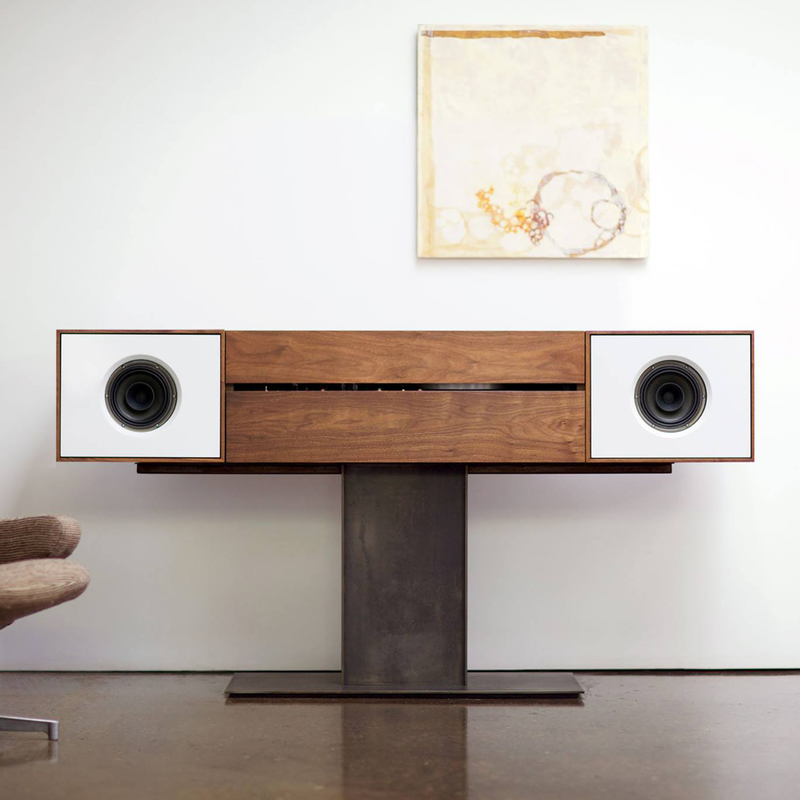 Tucked out of view into the steel base is a second dedicated amplifier and subwoofer designed to extend the low end frequency and provide added richness to the sound. 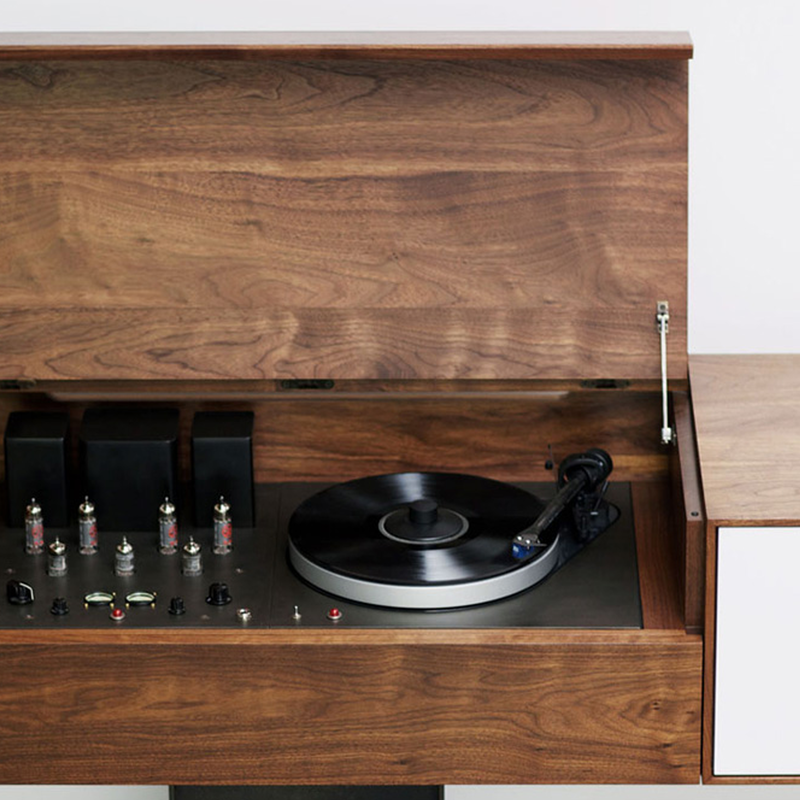 The built-in turntable has a carbon fiber tonearm fitted with a Sumiko Blue Point #2 cartridge for playing vinyl. For the convenience of streaming digital music just switch the selector from turntable to WiFi and stream from any digital source through the built-in wireless router and control music selections from your iPhone, iPod, iPad or computer. 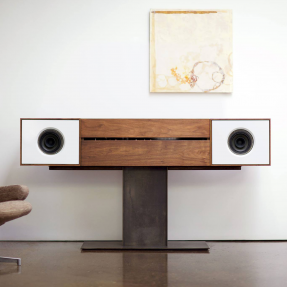 It’s truly the best of both worlds all designed seamlessly into a bespoke piece of fine furniture.